Adding to the growing list of manga and anime franchises that have pledged their mightiest characters to Jump Force, Saint Seiya is joining the fray. Both Seiya and Shiryu will be playable in the upcoming crossover brawler. The character roster is really starting to expand now, with the likes of Yugi from Yu-Gi-Oh recently confirmed. We're wondering just how far it'll go. 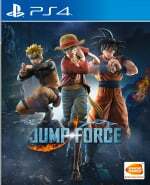 Are you looking forward to Jump Force? Ignite your cosmos in the comments section below. Pegasasu Ryuseikeeeeen!!! Ok, if you really want to sell me a garbage tier fighting game, put some Sailor Soldiers in it and it's a deal. This does look a lot better than that previous fighting game (forgotten name) that had a bunch of anime characters as well. Please include Saitama from One Punch Man so I can one-shot all the other characters in this game. @Melucine Yeah, would love to see both Jotaro Kujo and Dio Brando in it. Not to mention Kenshin Himura as well. Still not my kind of game, but I’m still going to get it cause it’s a Jump crossover game. Saint Seiya is a classic and favorite of mine. Throw in Cobra, Fist of the North Star, Cats Eye, and Sakigake Otokojuku please. I'll be sold once they add in Sailor Moon and JoJo characters. Sailor Moon and I am in, even though I have 0 interest in fighting games!